Skillment’s flagship Engineers’ Employability Program is a three-month practice oriented training for fresh engineers who wish to be employed in the project management function of various industries. For more information, please click here. Skillment has a library of over 25 ready-to-deliver training programs for employees at all levels in an organization spanning various functions. The programs are available in three broad buckets – Operations; People Performance; and Sales, Marketing & Customer Care. For more information, please click here. Skillment uses its unique methodology to converge its experience, flexibility with global thought leadership to create and deliver learning content that makes the learning fun, experiential and memorable. Skillment is a full-service learning & development company promoted by the promoters of Punj Lloyd Limited, who bring in decades of global construction and infrastructure experience. 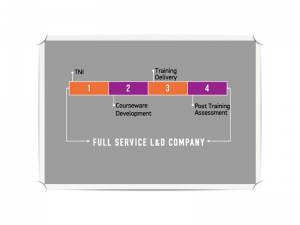 The company provides end-to-end L&D services to corporates and educational institutions. The company brings together a bouquet of trainers with rich experience in the corporate environment and in academic institutions. Skillment provides a right blend of theory and practice which stems from its ideology of building on practical skills with a solid foundation of theory to help harness the talent potential of incumbents and leverage the same to meet organizational goals. Skillment partners with global organizations to design, adapt and deliver relevant training interventions with a genuine desire to understand and help its client address their training needs. It is this flexibility in design and delivery that makes Skillment a preferred partner of the clients that it works with.